Samsung to release a Windows RT tablet in October? The word on the street today (according to Bloomberg) is that Samsung is set to launch their own Windows RT tablet in just a few months time. The tip has apparently come from someone with inside knowledge and they have stated that the tablet will be powered by a Qualcomm Snapdragon processor. I am sitting on the fence in terms of whether this is on the cards or not. On the one hand Samsung have the hardware capabilities to build a great tablet but on the other hand they are so well established within the Android tablet market would they now feel the need to consider an alternative OS? Or could this be a reaction to the recent Google Nexus 7 Android tablet which is in direct competition with Samsung and coming in at a much lower price point than the South Korean manufacturer can offer? With the recent news that Hewlett-Packard (HP) won't initially be backing Windows RT anything is possible. Either way, I wouldn't be surprised to see Samsung jumping on the Windows tablet market. I say watch this space. 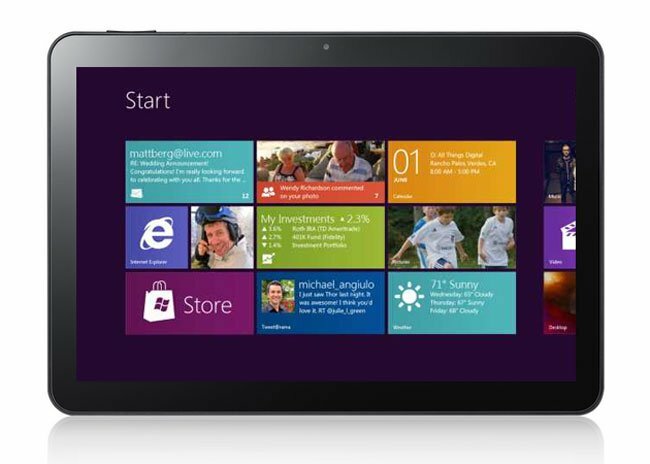 Curious though...would such a tablet entice you away from Microsoft's Surface tablets?